Say no to texas central Railway. Together we can stop Texas Central Railway’s abusive tactics and deceptive positions on taxpayer subsidies, eminent domain, ridership projections, and environmental impacts. Texas Central continues to make deceptively false claims about how this high-speed rail project is “privately funded” and “compliant with federal law,” while actively seeking federal loans and disregarding serious environmental impacts that contributed to the horrific floods during Hurricane Harvey. With no benefit to everyday Texans, we cannot let a group of investment bankers take Texas hostage by railroading this flawed project through. Since the conception of this high-speed rail project, Texas Central Railway has dedicated all of their time and resources to spreading disinformation and falsehoods about the project in an attempt to try an usurp the flawed projects perception to the public. Texas Central Railway claims that a whopping 5 million passengers annually would ride the train by 2025, or approximately 13,700 passengers daily. To highlight how outlandish these numbers are, consider that over the last eight quarters an estimated 2,800 passengers flew between Houston and Dallas on a daily basis. For Texas Central’s projections to become a reality, their high-speed train would have to capture every single airline passenger, as well as an additional 10,900 daily passengers, for a total ridership that is five times higher than current air travel alone. The vast majority of Texas Central Railway’s “private funding” derives from the Japan Overseas Infrastructure Investment Corp. for Transport & Urban Development and the Japan Bank for International Cooperation, aka Japanese taxpayers. 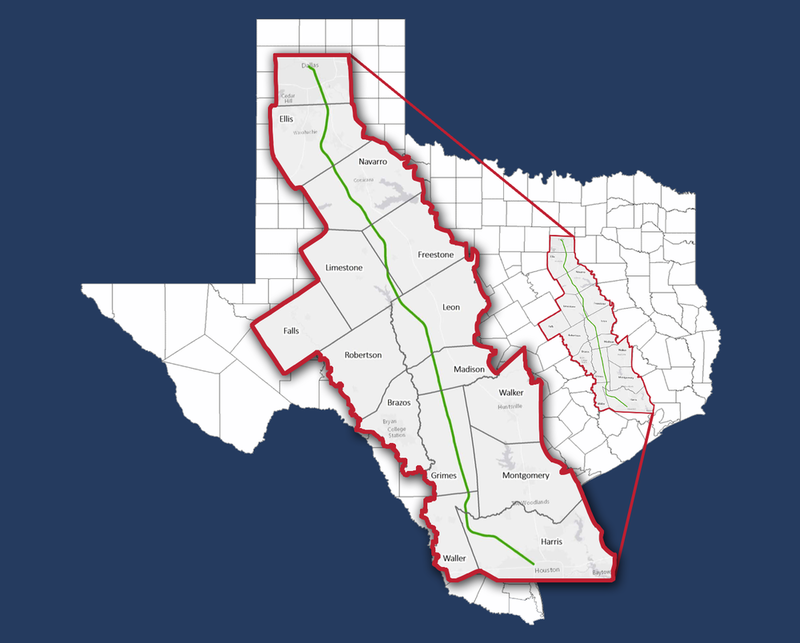 When you consider that Texas Central only has approximately $300 million between loans and other investments of the nearly $20 plus billion, it is time that they give a concrete answer on how they are going to secure roughly $19.7 billion in order to complete their Railroad To Nowhere. There is only one truthful answer – taxpayers.